Nigeria's Super Falcons did the country proud as they have won the African Women Championship for the 7th time. 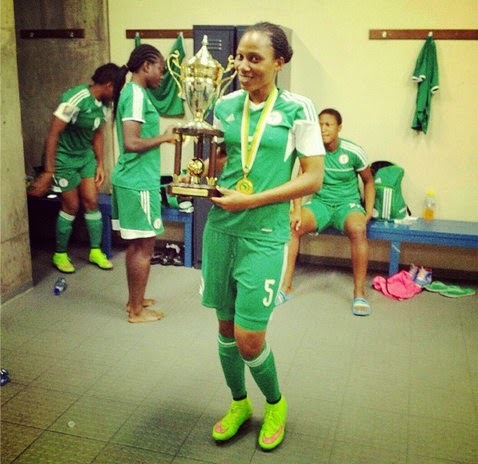 Pictured above is Super Falcons player, Ebinome with the trophy. Congrats Girls!. Whoop, Whoop! !